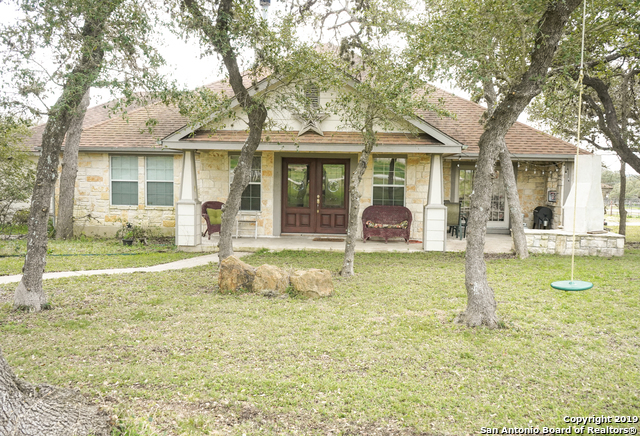 All GREEN GLEN ACRES homes currently listed for sale in San Antonio as of 04/20/2019 are shown below. You can change the search criteria at any time by pressing the 'Change Search' button below. "Country living, just minutes from town! This one story 3/2 home on 1.996 acres is a tree covered getaway. Fully fenced (and cross fenced) and gated on a corner lot with room to roam. Impressive rock fireplace in the spacious living room, open kitchen, large utility, and outdoor fireplace makes this home a sanctuary you will want to escape to! Detached garage."